Aurora, CO (January 26, 2011) — The Arabian Horse Foundation has announced it received a $50,000 gift from the Barbara Wright Hutton Trust, the largest gift the non-profit entity has ever received since re-launching in 2007. The $50,000 gift was directed to horse rescue and rehoming and to equine research. 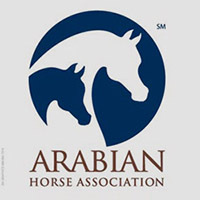 “I know my aunt would be pleased to know that her gift will be used for something that meant a lot to her and will make a difference in impacting the welfare of horses,” stated Wright Hutton’s niece, Jackie Johnston, an Arabian horse owner and an AHA judge of national and international shows. Ms. Wright Hutton lived in St. Louis, Missouri, owned an Arabian and loved horses. Johnston describes her aunt as “a charitable person,” and recalls that her aunt, “truly enjoyed horses,” and was introduced to horses at various camps at an early age. Prior to Wright Hutton’s passing in 2008, she urged Johnston, the executor and a trustee of her Trust, to give to worthy animal charities. 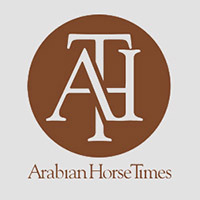 Johnston said she hopes that the gift will encourage others to consider the Foundation in estate planning and encourage Arabian horse owners to consider the Foundation in their will, as well as annual giving. 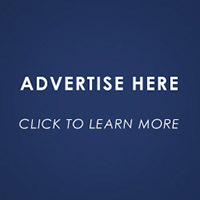 The Arabian Horse Foundation is a 501(c)(3) charity; all gifts are tax deductible. Wright Hutton’s gift assures that funds will be available for outreach to equine rescue and rehoming and to equine research for years to come. “The more assets we have, the more grants and support we can give to all funding areas of the Foundation,” he said. Since the Foundation was re-launched four years ago at the AHA Annual Convention, the board has given away over $75,000 in youth scholarships and equine rescue and equine research. Through grant money from the Foundation, tremendous strides have been made in Lavender Foal Syndrome and Cerebellar Abiotrophy research being done at UC Davis and Cornell University. The Foundation has advisory panels which accept and review grant applications. “The Foundation board wants to make sure the dollars entrusted to us go to projects and needs that are well-researched and worthy of funding,” Kinneer added. While this is the largest gift in the past four years, the Foundation received a $10,000 gift from Iron Horse Farms two years ago which helped establish the Patrick Swayze and Lisa Niemi Scholarship. The Foundation also recently received a gift of $5,000 from an Arabian horse owner in Texas who stated she wanted to give to scholarships “to carry out charitable giving for scholarships initiated by my parents.” In the past four years the Foundation has established, in addition to the Swayze-Niemi Scholarship, two others: one in honor of immediate past AHA President Myron Krause, and another in memory of Russ Vento. In addition to Kinneer, other members of the Foundation board are: Lollie Ames, Nancy Harvey, Jim Cada, Frank Galovic and Terry Johnson. Donations can be made online, through Paypal, by visiting the web site at www.arabianhorsefoundation.org. Checks can be sent, along with a designation of where funds are to be used, to Jim Cada, Treasurer, 1024 K. St., Lincoln, NE 68508.